Welcome to the Tulita Wellness Council Resource Page! The mission of the Tulita Wellness Council is to provide leadership for the Tulita community by bringing together school stakeholders to address issues surrounding well-being, health, safety, and sustainability that affect student, staff, and faculty. 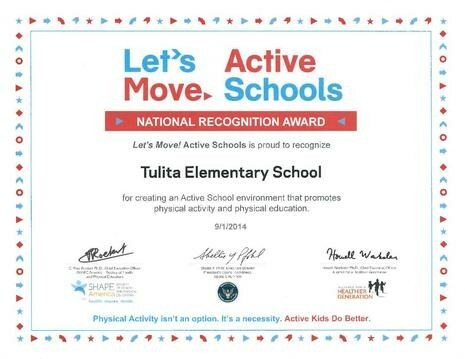 The Tulita Wellness Council supports the community in living healthy, active lives. Celebrations and parties. The district will provide a list of healthy party ideas to parents and teachers, including non-food celebration ideas. Healthy party ideas are available from the Alliance for a Healthier Generation and from the USDA. 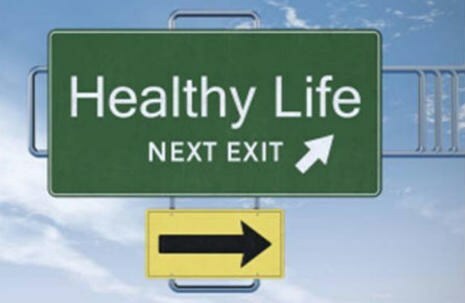 As a Silver-level Healthy Schools Program participant, only two exemptions per year are allowed. One shall be in the winter and one in the spring as designated by the school principal. Classroom snacks brought by parents. The District will provide to parents a list of foods and beverages that meet Smart Snacks nutrition standards. Thank you for helping us create a healthier place for your child to learn! PACK A TRASH FREE LUNCH! 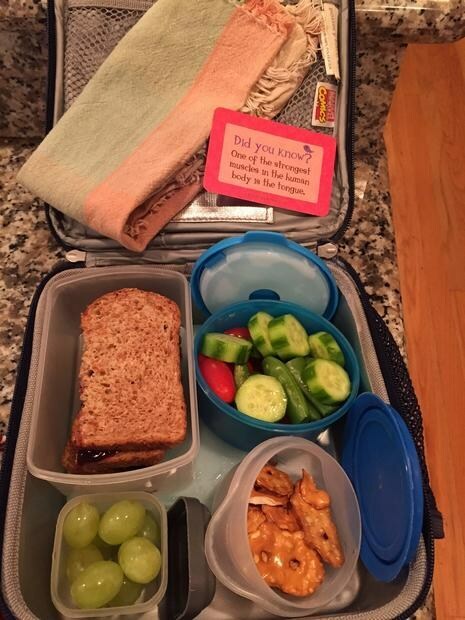 Packing a trash-free lunch is a great way to reduce waste while providing your child with a nutritious meal. To start, fill your child’s lunch with a variety of colors, such as sliced fruits and veggies with hummus or plain yogurt for dipping. Be sure to include healthy proteins such as beans, avocados, hummus, sunflower butter and or lean meats to keep their energy up. Buy bulk sized bags of snacks and pack smaller portions into reusable containers. Over 160 billion paper napkins are used in our country every year and it adds up to billions of pounds of waste. Try a fun print cloth napkin instead! Don’t forget to include a fun note for your child: Tell them that you are thinking of them or include a fun fact about a subject they love. Soon, your child will be looking forward to seeing what is in his or her lunchbox every day. Please see picture below of a trash free lunch! Tulita Elementary prohibits giving students food as a reward and withholding food as punishment. Please refer to our Tulita Tidalwave Tickets Incentive Charts below by grade level. PARENTS - PLANNING A CLASSROOM CELEBRATION? TIDALWAVES MAKE A SPLASH IN THE NEWS! 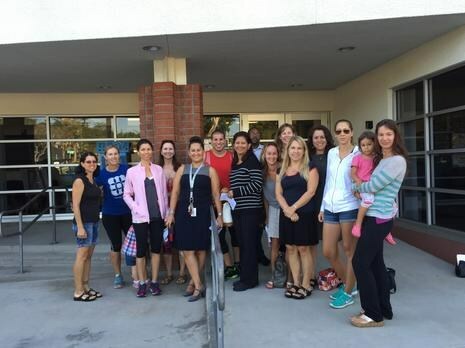 Tulita's Walking School Bus featured in the LA Times! Click here for the article! Read about Tulita's Success Story on the Alliance for Healthier Generation website! Click here to access! 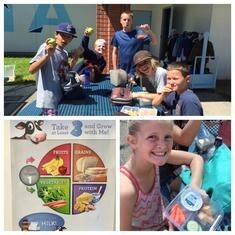 STUDENTS MAKING HEALTHY LUNCH CHOICES! for a list of healthy snacks suggestions.